This is your go-to creative blogging, branding and business website with everything you need to create the online space of your dreams. I’ve got the best blogging tips, design advice, blog templates, graphics kits, free fonts and so much more! I created Blog Pixie for bloggers, creatives, small business owners and anyone else with big dreams for the future! You’re in the right place! I want to show you how to start a blog and set you up for success from the beginning. Blogging is such a rewarding thing to do and if you’ve been umm-ing and ahh-ing about it for far too long now. Stop. Your time to start your blog is now. Why do you want to blog? Would you love to share your thoughts and ideas with the world? Have you realised you’re a girl boss at heart and you are dying to build your own online empire? Do you need a bit of extra income on the side? Maybe you would just love the freedom of working from home! Blogging and social media is now more popular than ever. Trust me, it’s not a dying industry! Yes, there are so many blogs all over the internet these days, however there is easily still space for you to succeed. Blogging can be a hobby, a side job or even a career (yes, you can make money blogging)! You just have to start your blog now. I’m Vanessa, the creator of Blog Pixie. I’m a coffee addict, a lover of all things pink, sparkling and pretty and I have been blogging for the past 10 years! I can’t imagine where I would be right now if I hadn’t launched myself into the world of blogging. 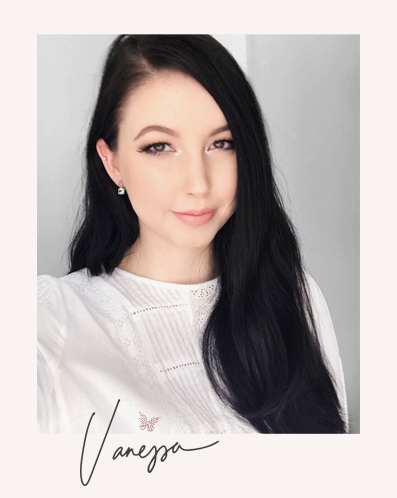 I live in Australia and spend my days blogging, helping other bloggers and creating fun new products to make your blogging dreams come true. My first blog, Flip And Style, launched back in 2008 as a fashion blog, where I would share my love for everything I was seeing in magazines – models, trends, what’s in store and more. Throughout the years it grew to be so much more, these days being full of everything I love in fashion, beauty and life. Flip And Style has been a little life saver for me when times have been tough. No matter what’s going on in my life or how I’m feeling, I always know my blog is there and the people who read it are there for me too. Realising how much of a gift blogging was for me, I realised I wanted to somehow share that gift. I wanted others to start blogging, so they could experience the same happiness. This lead me to the launch of Blog Pixie, as a helpful site especially for bloggers. I wanted to share everything I could about blogging, branding, design and social media. Creating a special place for it all seemed to be the perfect idea. Blog Pixie is now more than just a site for bloggers. It’s a go-to platform for all the dreamers out there who want to take their business to the next level. Blogging can be a business in itself, however it should also be an extension of every business, no matter what industry. As time goes by, Blog Pixie will continue to fill up with helpful and inspiring posts to assist you in the process of creating and running a successful blog and/or business. I’ll be sharing helpful tips and design advice with new freebies and products along the way! 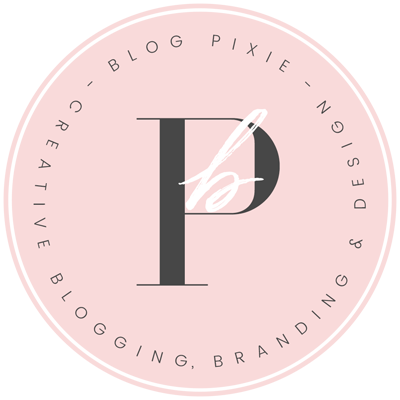 If you’d like to hear about new blog posts, follow Blog Pixie on Twitter or on Bloglovin. You can also find me on Instagram.